2017 was a special year for Water Collective -- we entered a new chapter for our organization that resulted with the expansion of our filter program in India. Our donors also gave generously this year, breaking records. To our donors - thank you you made our year! 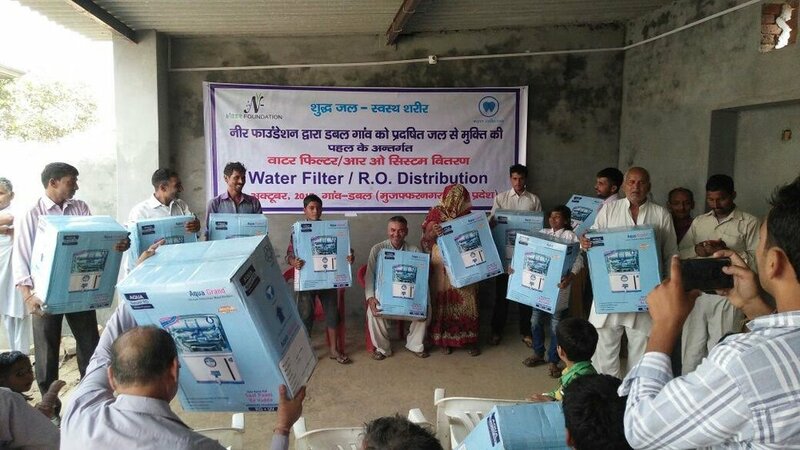 Thanks to our donors, we were able to distribute filters for 169 families in Northern India this year. That's almost 2x more than we've raised for India in 2015-16 combined! In 2018, we'll continue our filter program in Northern India by distributing filters to families in Morkuka. Up 1.4% from last year's numbers, 38.4% of community meetings in Cameroon this year were composed of youth and women. Our goal is to create long-term impact that promotes maintenance education that's passed down generation to generation. In order to achieve this, women and youth, the main caretakers and actors of the coming generations, must participate in meetings and Committees related to their community's water. To be conscious of this, we track the diversity of community meetings. Up 1.5 from last year's numbers, the Water Committees of our partnered communities in Cameroon met 3.75 times every quarter (3 months) to discuss water management matters and to facilitate different activities. We track project engagement and each community's water management-related activities when our field staff isn't present. We believe that true social change is achieved when communities are engaged enough to facilitate water management activities on their own. Our 7th Annual Gala broke a personal record, raising $45,357 to bring water filters to our partnered communities in Northern India. Thank you to our Gala attendees, Host Committee, and our sponsors for making this year's Gala a gamechanger for the organization. Replastered storage tank at Mundame. The post-installation years of a completed water project are extremely important to us. The actions and activities that our partnered communities complete with their own means demonstrate if our Water Independence program was effective in instilling values of post-maintenance care. 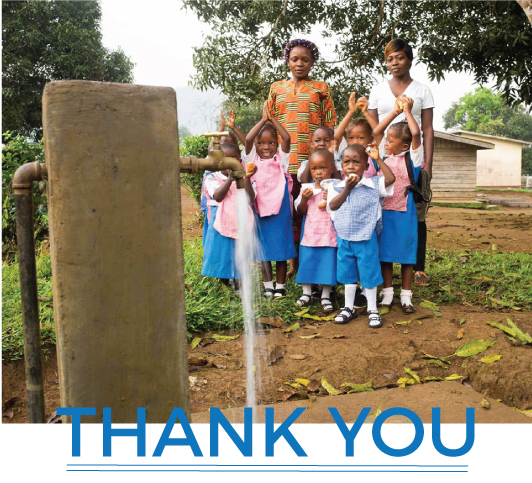 This year, we saw our partnered communities in Cameroon re-plaster their storage tank walls to lengthen the lifespan of their system, caretakers diligently clean the filtration for their community's water system every month, and Committees fundraise to replace worn down head taps. Under the guidance of our field team, this was all completed with each community's own funding, and efforts from its Water Committee -- because we believe that true, life-lasting clean water cannot exist unless we move forward from charity, and encourage communities to build their own solutions to their water crisis. 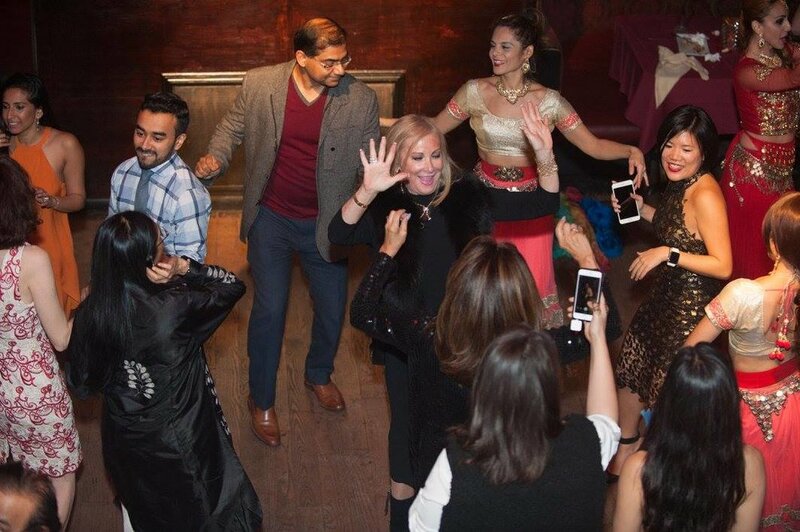 At our 2017 Gala, our attendees were able to take a look back at the past 2 years, and all that has been accomplished thanks to their generosity in launching our projects in India. Thank you to our Guardian level donors who elevated our work this year. Frequent donor? Join us in creating generational impact by becoming a Guardian level donor. Sign up for quarterly giving here. Support our 2018 fund by donating today. Donations made by 11:59PM ET on December 31st, 2017 are eligible for a 2017 tax deduction. 83% of our projects are made possible because of donations from you, our core supporters -- your contributions are essential to our work, and we appreciate anything that you can give.